Open House Feb 17 1-3 pm. 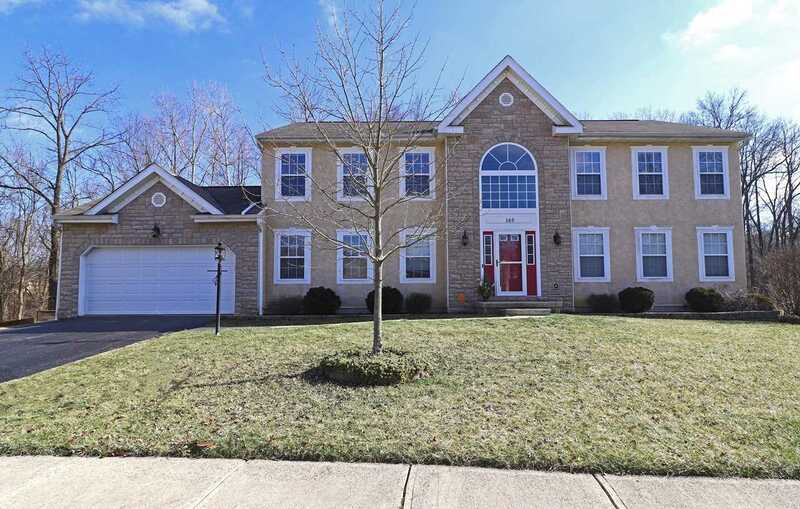 Outstanding Pataskala home with 3 expansive levels of living space. 5 BRs + Bonus Rm, 3-1/2 Baths including luxurious Owner's Ste & walk-out Lower Level with huge Rec Rm, Kitchenette, 2 BRs & Full Bath. Great in-law or teen suite space! The main level features a 2-story Foyer, large formal LR & DR, separate Den, gorgeous eat-in Kitchen with granite counters, stacked stone island, hardwood flooring & stainless steel appl. The outdoor living space includes a two level Deck overlooking the yard which backs to woods with stream. Natural beauty all around. Additional updates/upgrades include: hardwood flooring, 1st flr Laundry, porcelain tile flooring, updated fireplace surround, expansive custom storage, 80 gal water heater, fence, shed & more. Just move in & enjoy! Directions:Rt 40 to North on Watkins, Left on Longwood Crossing Blvd., Left on Longhollow Dr., Left on Deer Path Ct.
SchoolsClick map icons below to view information for schools near 165 Deer Path Court Etna, OH 43062. Home for sale at 165 Deer Path Court Etna, OH 43062. Description: The home at 165 Deer Path Court Etna, OH 43062 with the MLS Number 219003479 is currently listed at $319,900 and has been on the Etna market for 72 days. You are viewing the MLS property details of the home for sale at 165 Deer Path Court Etna, OH 43062, which is located in the Longwood Crossing subdivision, includes 5 bedrooms and 4 bathrooms, and has approximately 3172 sq.ft. of living area.